A book about the past, the present, and (possibly) future capital of the world. 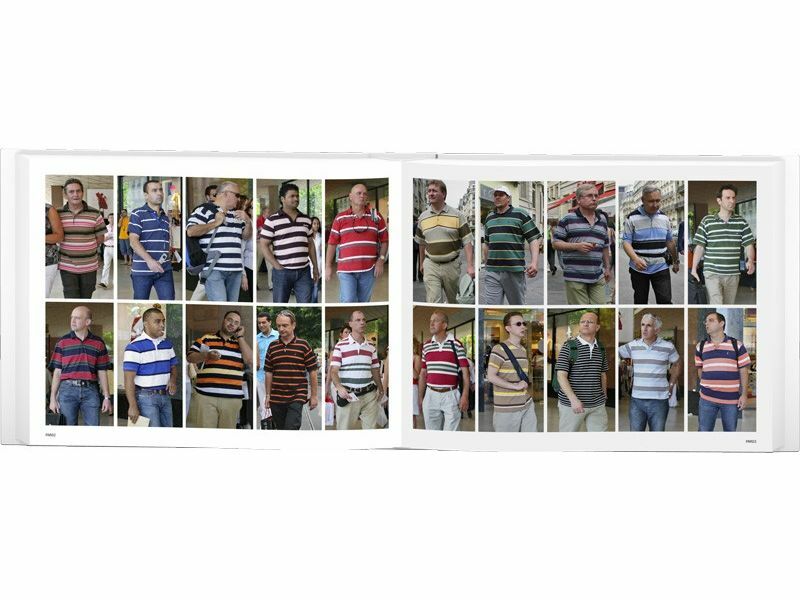 With an introduction by Martin Parr and an essay by Tony Godfrey. 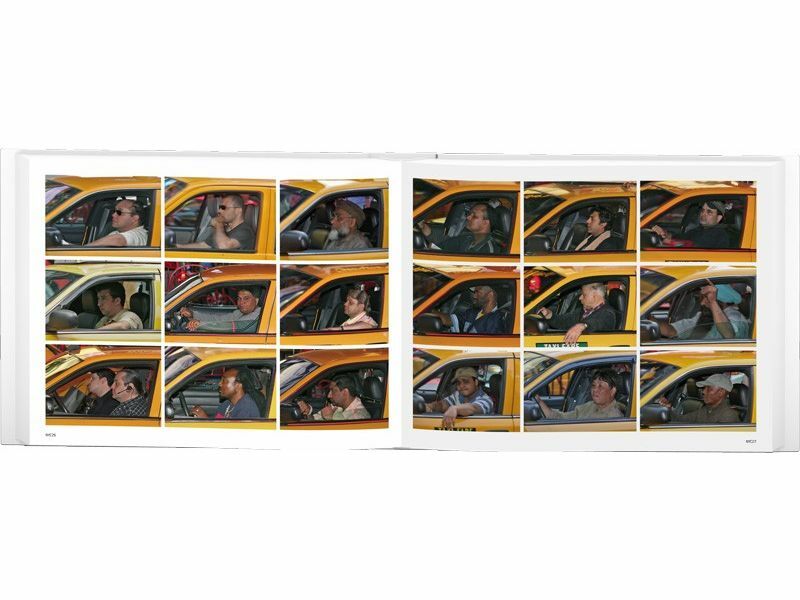 (publishers text) Dutch conceptual artist Hans Eijkelboom's work is very much in line with the deadpan, seemingly mechanistic note-taking of Ed Ruscha and Hans-Peter Feldman. 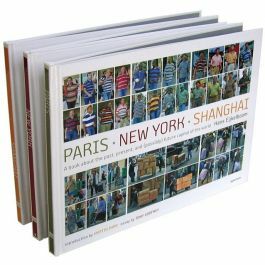 In Paris—New York—Shanghai, Eijkelboom creates a clever and witty comparative study of three major contemporary metropolises, each selected for having been (or promising to be) the cultural capital of its time—Paris during the nineteenth century; New York, the twentieth; and Shanghai, the twenty-first. 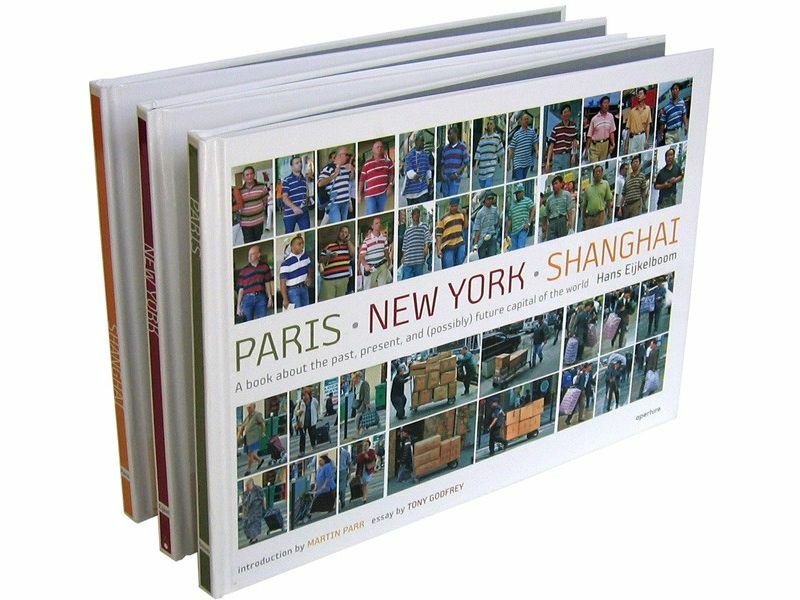 This uniquely bound three-volume set unfolds to allow the reader not only to view each city individually, but also to compare simultaneously the three photographic studies of each metropolis and its citizens. Expansive cityscapes detailing the quirks of each city and the snapshot-style grids of their inhabitants soon reveal how similar one city is to another today. As Eijkelboom writes, "Globalization, combined with the desire of cities for visually spectacular elements, is leading to the appearance everywhere of city centers that look the same and where identical products are sold." Almost like new, minor toning on page edges of title pages, back cover has two light indentations of scratches.